He was born in 1924 in Khandesh, Naseerabad, Bombay, India, to a religious and God-fearing family. He did not belonged to an artistic family. Hence he possessed no prior musical background. Pride of Pakistan, Syed Nisar Ahmed, is the son of Syed Qudrat Ali. The extraordinary talents of the young prodigy never ringed as true as they did in 1937. Noted Indian musician of Bombay, Khan Saheb Aman Ali Khan, convinced of Nisar's musical interest, taught him music. Equipped with artistic know-how, young Nisar, who was just 13 at the time, quickly mastered the various ragas, the musical instruments and took all music lessons to heart. The tremendous aptitude of this youth were there, just waiting to be used. In 1939, the "All India Radio" hired him as an artist, which later proved to be a steppingstone for his future aspirations. The magic moment came in the year 1944. He composed some songs for a drama, "Nadir Shah Durrani", which was broadcast from the Bombay Radio Station. All the songs of afore mentioned drama were super hits. A new Indian film producer at that time was moved by Nisar's composition. Hence the afore mentioned producer asked Nisar to compose the songs for his film "Jamana Paar", which was released in 1946. Nisar accepted the offer and changed his name to Nisar Bazmi. He dived into his new task with zeal. Thus a legend was born, whose fabulous music were soon to be heard across the Subcontinent. Nisar soon achieved maturity and professional recognition. Before partition, he composed the music for forty films. Twenty eight films were released during his stay in India. The rest of the movies were released in India after he immigrated to Pakistan. "Jamana Paar", "Jabe Katra", "Dagha baaz dost", "Extra girl", "Khauf naak Aankhein". Nisar migrated to Pakistan on June 21, 1962. Director Nazeer Sufi's film "Head constable" (released on September 25, 1964) and director Fazal Ahmed Karim Fazli's movie "Aisa bhi hota hai" (released on February 5, 1965). With that commenced a resplendent career in which he kept up his initial promise. Altogether, he brilliantly composed songs for seventy movies during his illustrious movie career. Nisar is a devout Muslim with a deep- rooted eastern culture. He is a true patriot. He really is an amazingly humble person. "Chalo accha hua tum bhool gaye." : Noor Jehan. "Halaat badal naheen saktay": Noor Jehan. "Sunn saajna dukhi mun ki pukar": Noor Jehan. "Pyar na ho jab dil mein,jeena hai udhura". Nisar had literally built a phenomenal career on being cordial. He had fulfilled himself artistically and personally. His superfluous composition in director S.Sulaiman's film "Aag" brought him to the fore- front of the Pakistani cinema. "Yoon zindigi ki raha mein": Mehdi Hasan. "Mausum haseen hai laykin" Ahmed Rushdi-Mala. "Beetay dino ki yaadoan ko": Noor Jehan. Pakistan film industry's visionary musician, Nisar Bazmi, received laurels from his country -men. They are part of his life's journey. Spinning magic with sound, he won the hearts of music lovers. "Aap dil ki Anjuman mein": Runa Laila. "Dil dharkay mein tum say": Runa Laila. "Izhar bhi mushkil hai": Noor Jehan. "Bhabi meri bhabi" Ahmed Rushdi. "Lag rahi hai mujhay" Ahmed Rushdi. As for the relationship between the listeners and Nisar, there had been an immediate bonding of hearts. "Meray dil ki mehfil": Noor Jehan-Ahmed Rushdi. "Kuchh loag root kar bhi": Noor Jehan-Ahmed Rushdi. "Pyar kar kay hum":Noor Jehan. "Geysoowoan kay Aanchal mein": Ahmed Rushdi. "Teray jhootay wadoan pay": Runa Laila. "Pyar insaan ko insaan bana dayta hai": Mehdi Hasan. "Mujhay naachh nay do,keh shayad ye ghungru": Runa Laila. "Mila kaisa anari sajna": Runa Laila. To talk of Nisar is to think of music in a whole new light. He added visionary revolution to the music for the willing listeners. "Dekha jo mera jalwa": Naheed Akhtar. "Pyar ki Aag, nigahoan mein chupaye rakhna": Naheed Akhtar. Music buffs continue to enjoy his music until it become second nature to them. "Boal ri gurya boal zara": Nayyara Noor. "Meri marzi mein gaoon gi" : Runa Laila. "Humnay deikhay is duniya mein": Noor Jehan. Nisar had a magnetic personality. His highly refined appearance, with a broad smile became one of his great personal strength. Director Pervez Malik's film "pehchaan": "Allah he Allah kya karo": Naheed Akhtar. "Mera pyar teray jiwan kay sung rahay ga": Mehnaz-Mehdi Hasan. "Laga hai misar ka bazaar deikho": Mehdi Hasan. "Aja hum kyon rahein akele": Runa Laila. "Tu nay kya shay mujhay pila thee hai": Runa Laila. The glowing story of Nisar's music career was full of surprises. "Jaan-e-mun Aaj tu jo paas nahi hai": Mehdi Hasan. "Millat kay jawano ko ye paigham suna do": Noor Jehan. "Tum ho haseen,iqraar karo": Ahmed Rushdi. Director Raza Mir's "Naag muni" was a great movie in its day, whose songs were composed by Nisar. "Tun to pay waroon": Noor Jehan. "Aaj bhi suraj doob gaya". "Saajna ray naina barsay, jeeya tarsay". "Mun mein uthi nai tarang": Noor Jehan. "Mera imaan mohabbat hai": Mehdi Hasan. "Ik albeli see naar" :Ahmed Rushdi. "Mein teri yaad ko kaisay dil say bhula doon. "Aisay bhi hain meherbaan": Ahmed Rushdi. Nisar, with a life of dedication, composed songs for director Laeeq Akhtar's movie: "Naureen". "Kitni baar melay hain": Ahmed Rushdi. His music appeals to the masses and it is a treasure in real life. He composed every new song with a renewed effort. "Ranjish he sahi": Mehdi Hasan. "ye mehfil jo Aaj saji hai":Tahira Syed. "Agar koi puchay baharoan ka mutlab":Ahmed Rushdi-Runa Laila. "Ik sitam aur meri jaan": Mehdi Hasan. Unforgettable songs like "Aye baharo gawah rehna": Ahmed Rushdi-Mala. "Teray tasawwar mein jo baat hai"
"Jo hum guzaartay hain wo zindigi to nahi" are still popular today. Highly revered Nisar confronted every new challenge and enjoyed the exhilaration of victory later. His superb composition made all the difference in director Shaiwan Rizvi's film "Meri zindigi hai naghma". "Ik husn ki devi say mujhay pyar hua tha": Mehdi Hasan. "Chore meray yaar, koi aur baat kar"
Nisar Bazmi won the Nigar award for best composer for the film "Saiqa" in 1968. 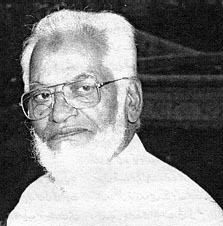 Nisar Bazmi won the Nigar award for best composer for the film "Anjuman" in 1970. Nisar Bazmi won the Nigar award for best composer for the film "Meri zindigi hai naghma" in 1972. Nisar Bazmi won the Nigar award for best composer for the film "Khaak aur khoon" in 1979. Nisar Bazmi won the Nigar award for best composer for the film "Hum aik hain" in 1986. One of the most astonishing feat of Nisar Bazmi's life is that in his twilight years, he dedicated himself to memorize the Holy Quran. All these years later, we now know that he was vehemently desirous to be a Hafiz-e- Quran. Composers with exceptional qualities like Nisar Bazmi are as scarce as hen's teeth. As for his music prowess, it cannot be measured with a yardstick. This sums up the passionate positive feelings innumerable people have for both the music and the man.